The UVW-1800 is at the top of UVW studio range. It is fully controllable via a standard RS-422, 9-pin serial interface and is able to perform frame accurate insert and assemble editing on Video, audio Channels 1 & 2 and Time Code tracks making it suitable for use as a player and/or recorder in a studio environment. 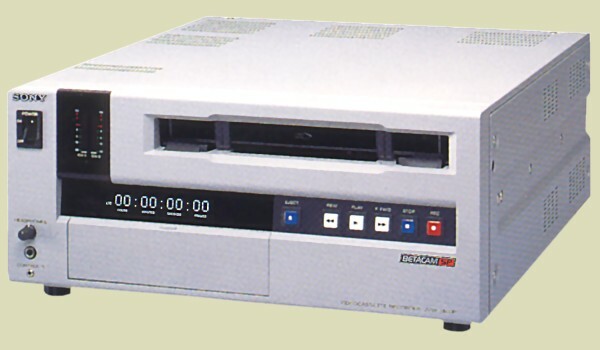 It incorporates an internal time code reader with external input and output connectors, a built in time base corrector allowing Time Code to be regenerated as necessary. Dolby C noise reduction is incorporated as standard. Video inputs and outputs are available via composite, S-Video and component formats. Audio input / output is via balanced XLR connectors.